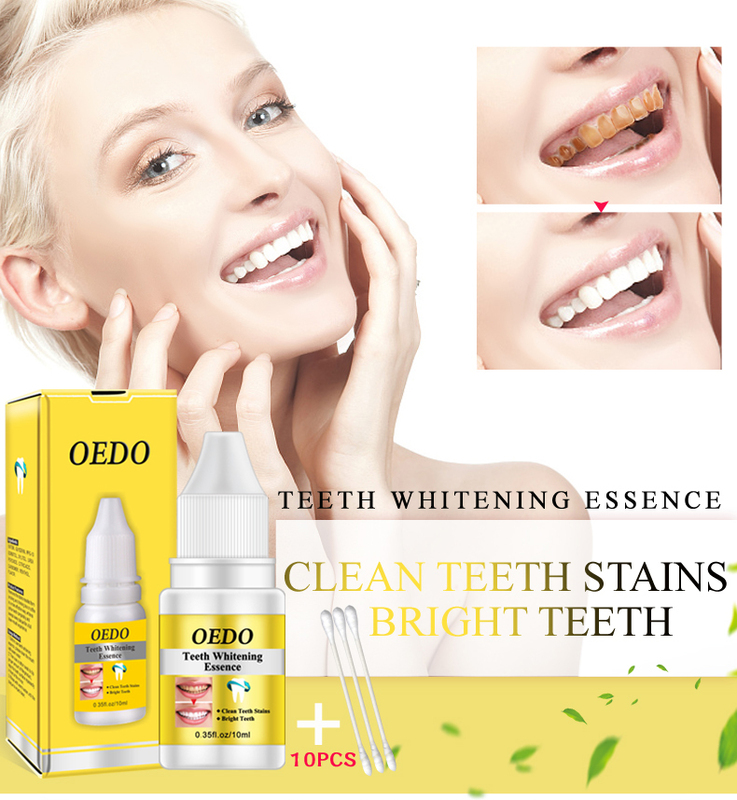 Product Features:Removes the stains resulted form smoking and drinking tea or coffee in a more effective way,whitens yellow teeth completely and sweeps away plaque for a full clean-mouth experience. 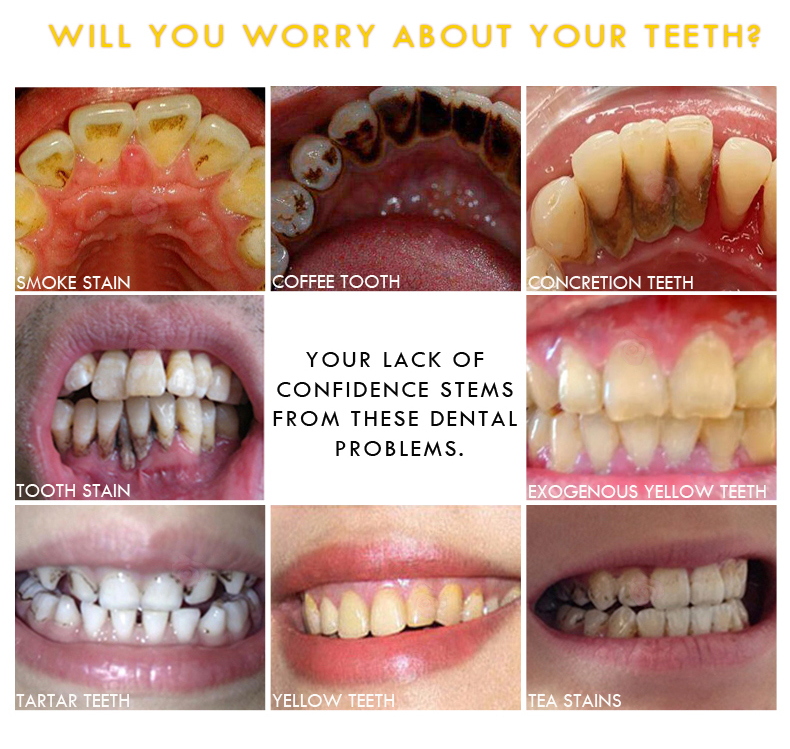 Scope of Use:People who want to get rid of all kinds of tooth stains. 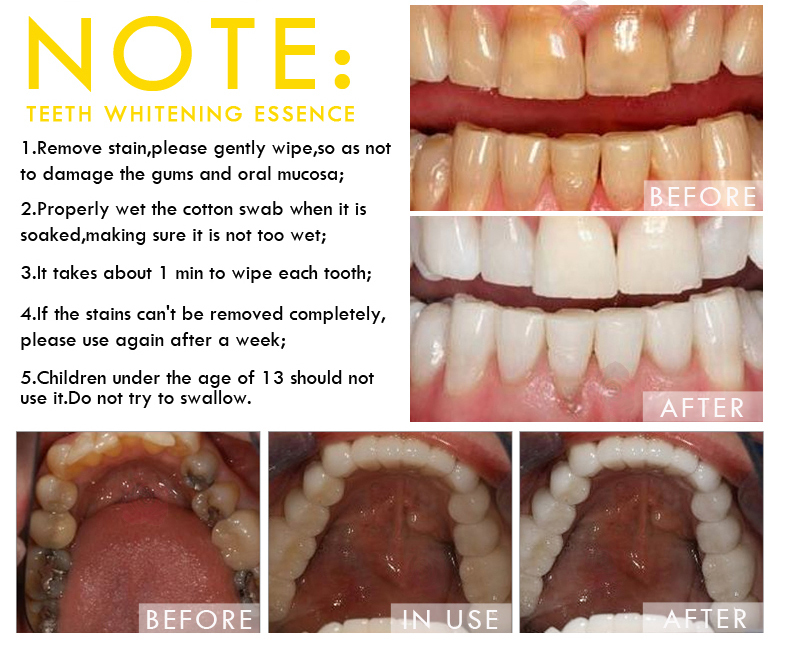 1.Before use teeth whitening essence,please clean the mouth with warm water. 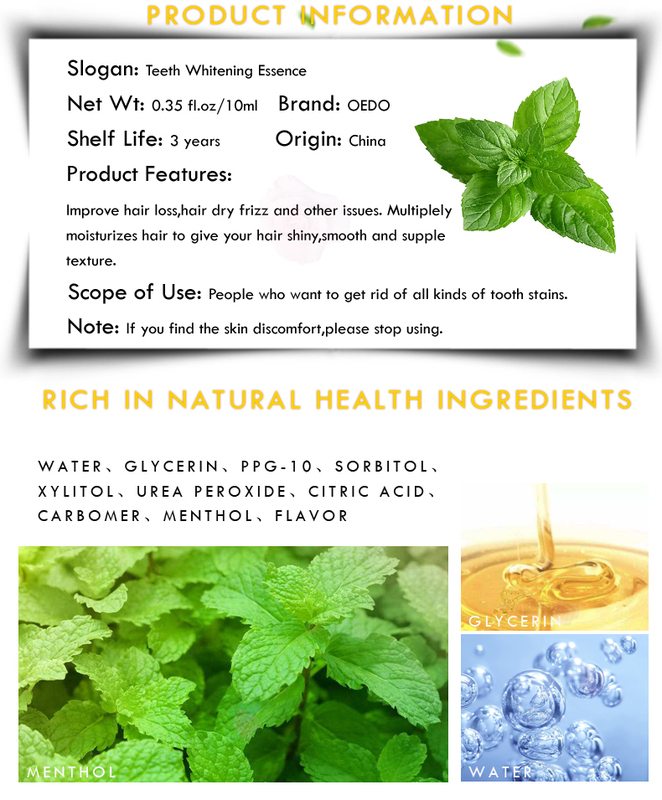 2.Then use a cotton swab to dip proper amount of the product,wipe the teeth surface repeatedly in front of the mirror. 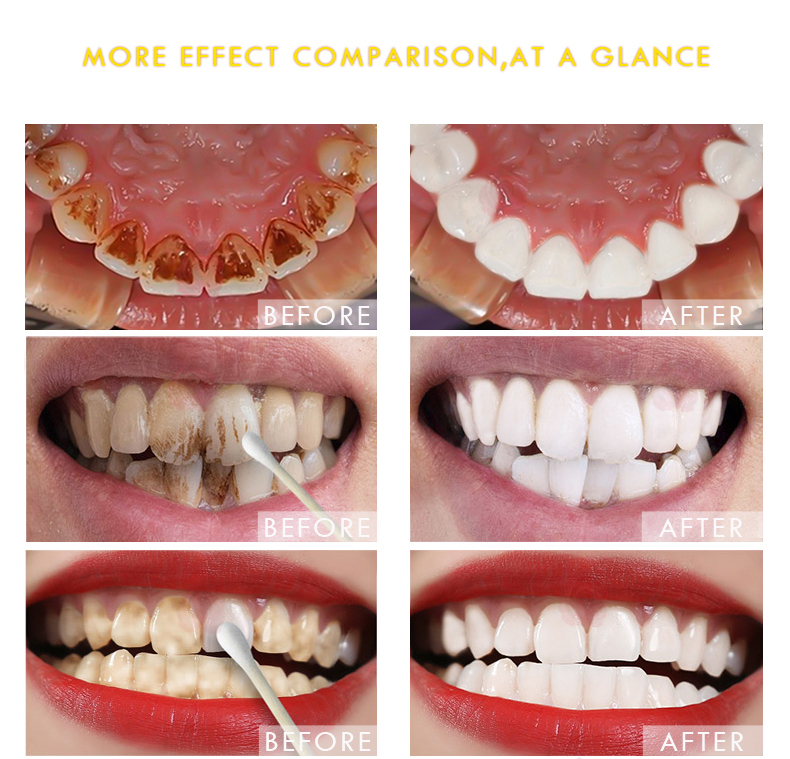 3.Rinse with warm water until the plaque is wiped clean. 5.Children under the age of 13 should not use it.Do not try to swallow. 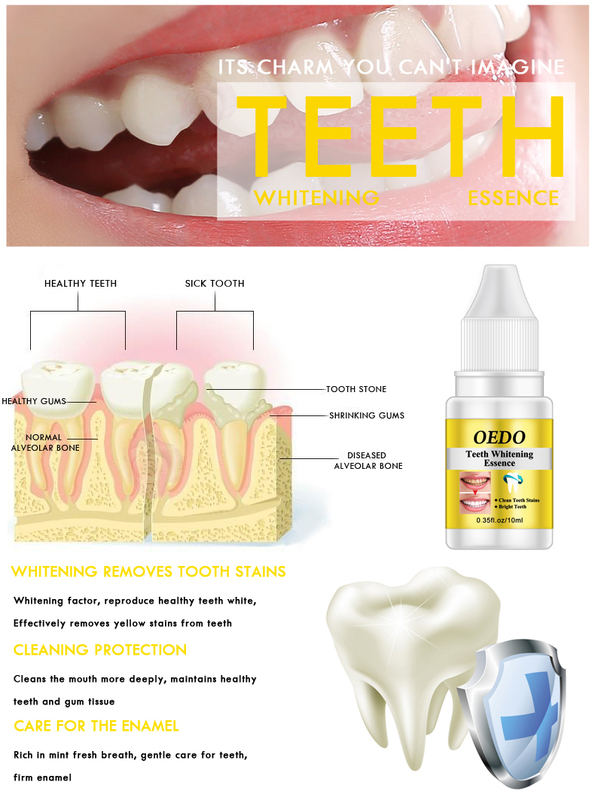 Remove stain,please gently wipe,so as not to damage the gums and oral mucosa.